I'm doing a lot job searching and applying and what is really starting to piss me off is that it seems as if you have to register to even begin the application. Why the hell do I have to remember a user name and password that I am probably just going to use once? It doesn't make any sense! Why do companies need our user names and passwords? Am I missing something? 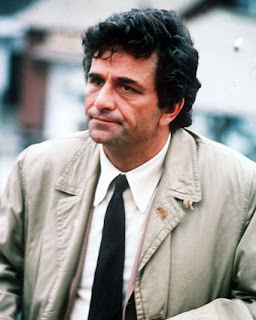 In other news, Peter Falk, the trenchcoat wearing Detective Columbo, has passed away. He was 83. ARRGGH!! Brutus is like Veeblefester's right-hand-man. How much more can Brutus possibly be promoted?